← Educational and Exciting Epicurean Market! MAUI was my very good friend. I loved her. 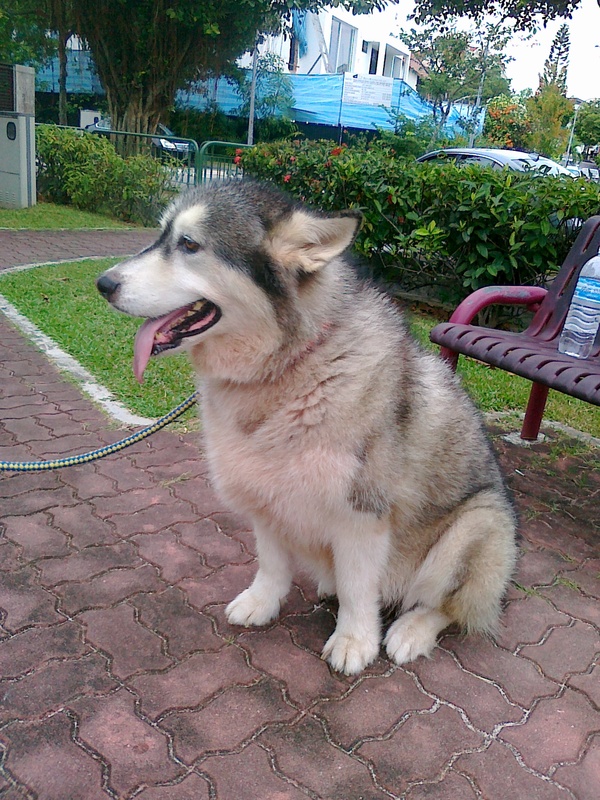 She was a big Malamute dog with green eyes that belonged to my friend & neighbour. Maui had cute paws as big as my hand. Sadly she passed away in November 2012. Maui always reminded me of White Fang, the heroic dog in the book of the same name by Jack London. The noble dog will always be man’s best friend. This entry was posted in Friends & Comrades and tagged Business and Economy, Fruit, Hawaii, Jack London, MAUI, Recreation and Sports, Travel and Tourism, United States, White Fang. Bookmark the permalink. Thank you for your really nice comments!